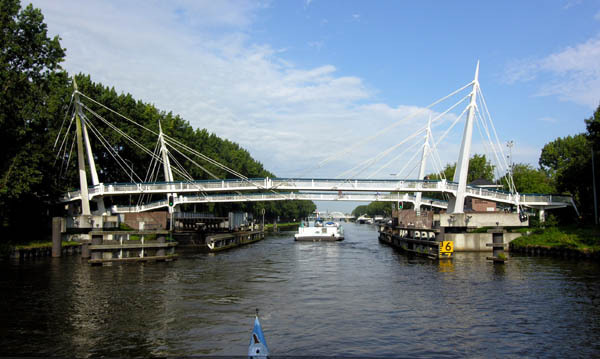 These bridges open by swinging aside in two sections. 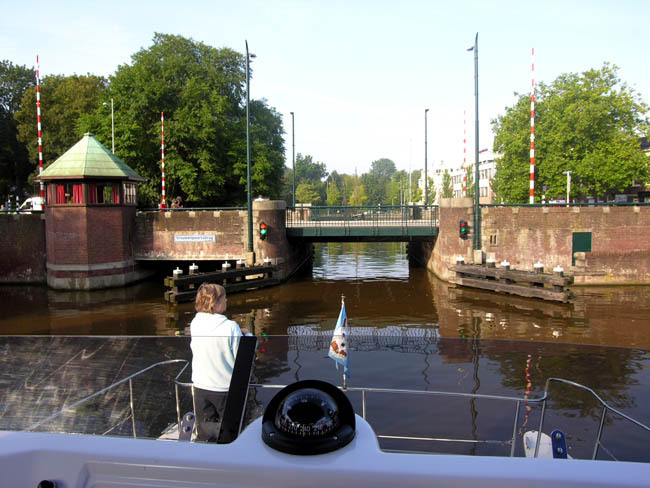 Cruising in the Prinses Margriet Canal. 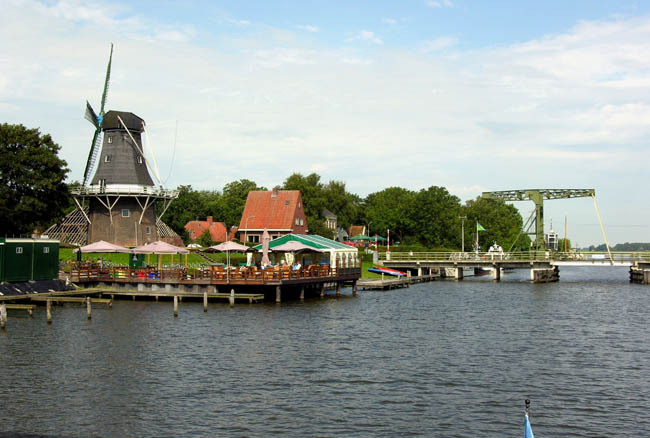 A big change since our last visit 15 years ago are the many modern windmills. 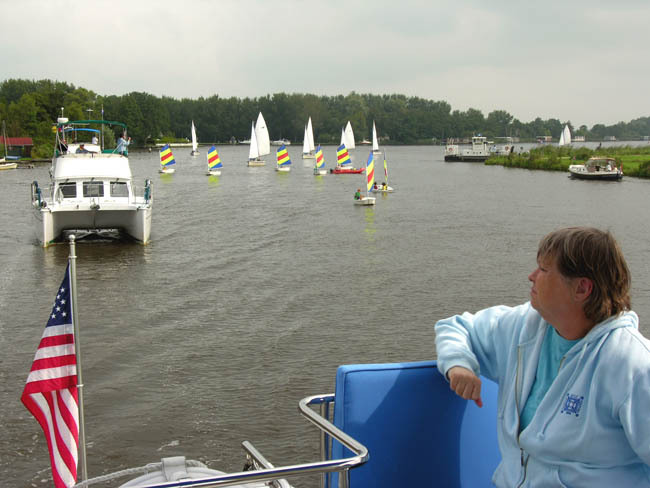 Cruising the "Reitdiep" - Nancy bringing coffee to her mom. 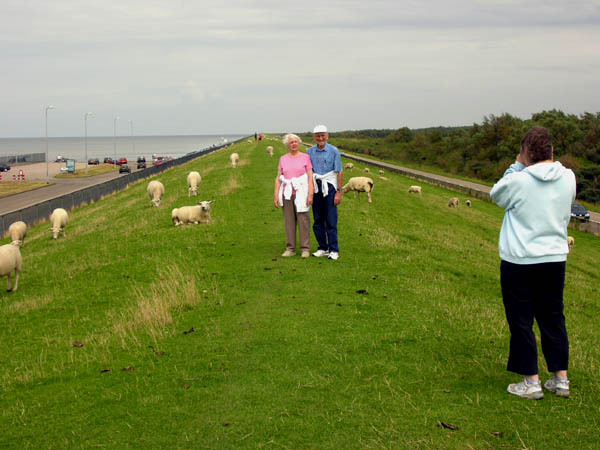 Nancy photographing her parents on the dike in Lauwersoog. 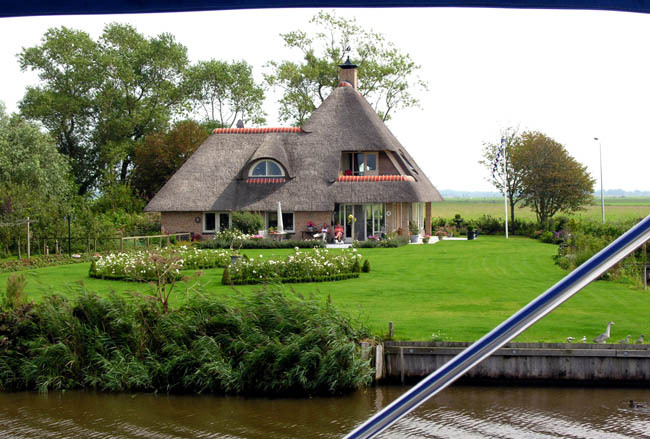 No mechanical mowing machines needed here! 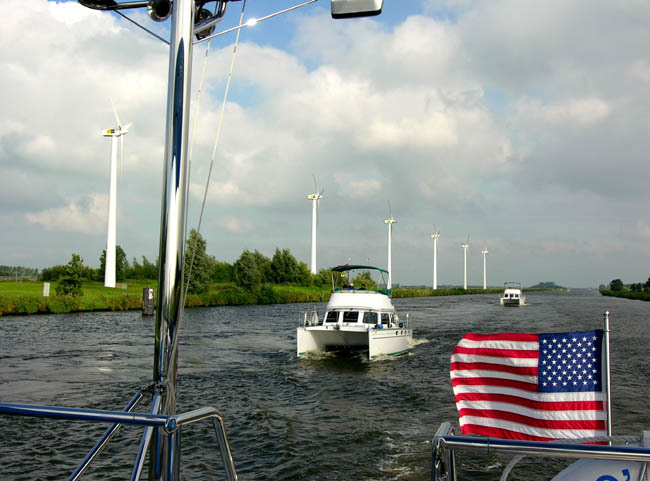 A typical Dutch scene - one reason we love Holland! 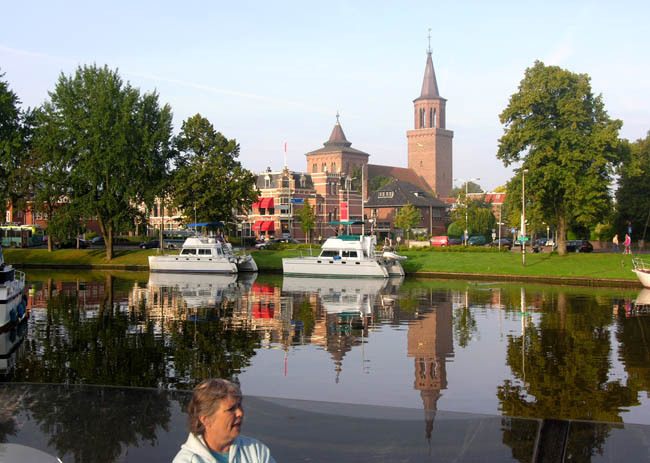 From Groningen, we took the scenic route up through the Reitdiep to Lauwersoog, then on Leeuwarden, the capital of Friesland. 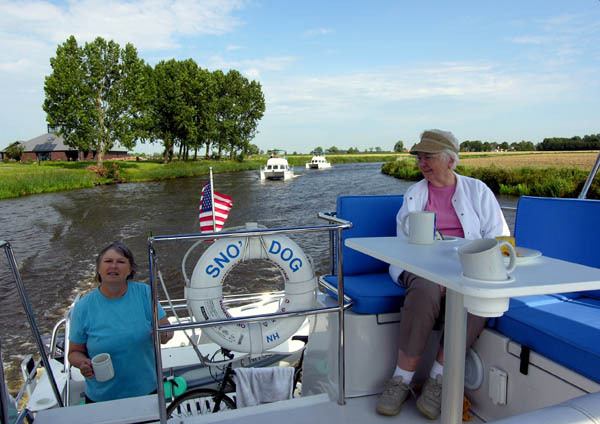 From Leeuwarden, we crossed over the Prinses Margriet Canal and, with Sno' Dog in the lead, we followed a scenic route through some of the smaller canals and lakes in Friesland. 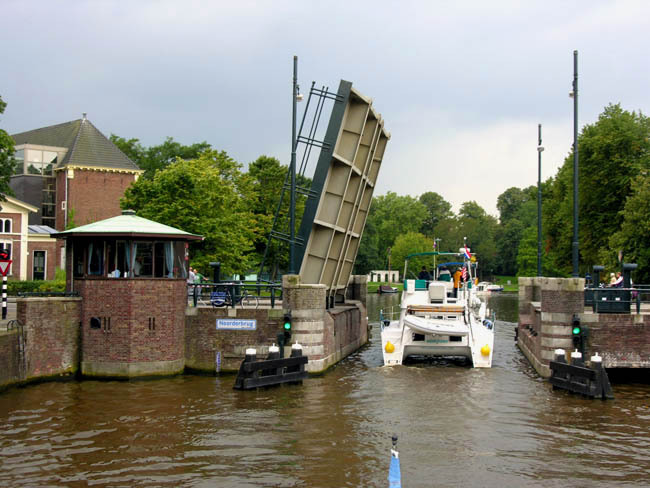 At one point, Horizons and Watermelon became a bit alarmed when a very small bridge (with 5-meter width) appeared directly ahead. What they didn't notice was a hidden canal off to the right with plenty of clearance. 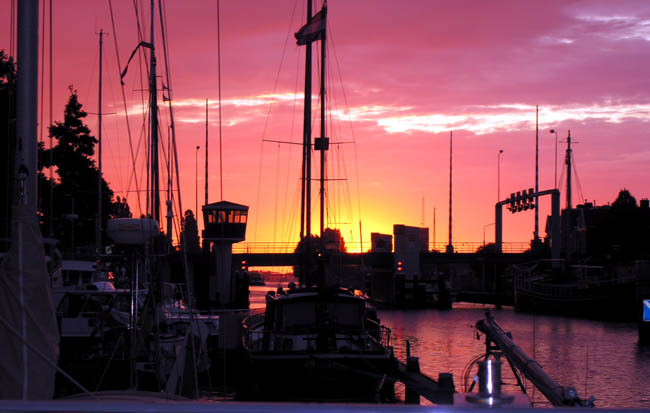 We all made it through without incident, but at times we felt a bit like elephants in those small canals. 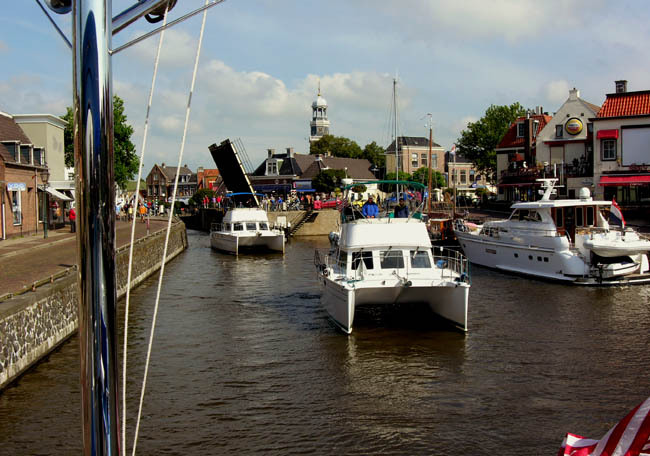 Our next stop was Sneek where, once again, we were able to find spots for all three boats right in the heart of town. 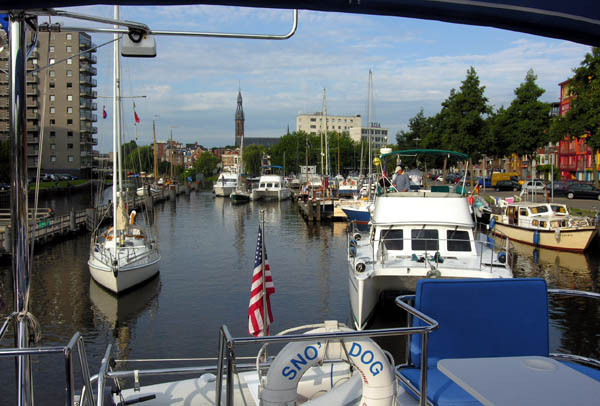 This is certainly one of the joys of cruising Holland - you don't have to stay at a marina every night, it's usually possible to tie up on a wall right downtown.